Hippotherapy is an equine-based treatment for a myriad of physical or mental challenges. Jonathan Hall of Nottingham, the founder and director of TROT (Therapeutic Riding on Thoroughbreds), believes strongly in both the core values and impact of the therapy. He lives it. Hall trains horses of a gentle nature, each with a solid breeding pedigree and most rescued after a vigorous career in racing. He saves the lives of these horses to improve the lives of his riders. So saddle up, cinch tight, and read a little about the good this man does for some of our fortunate two- and four-legged souls. I have been riding since I was 7 or 8. My parents let me bike to one of the neighbors, and I would ride after school. I think it was more of a way to keep me out of trouble. Growing up in Chichester, we had horses all over the place. They are big, beautiful creatures, and I was in awe. I teach both English and Western riding. It depends on what the riders want to learn. The western saddle gives the most support and allows the rider more stability. Just sitting on a horse at a walk for 30 minutes provides about 80 percent of the benefits of walking for 30 minutes. There are strong emotional benefits of being around animals and engaging with others. There is a lot to relate to when a rider with a disability comes and rides on a horse that has a disability, or on a horse that was headed for slaughter until it was saved. I like a horse that’s a little older, just so it’s had some experiences in life and is not surprised by anything. If a rider is working on speaking ability, using the vocal cues for a horse — walk, trot, whoa — can really motivate them to speak more in the world outside the barn. Horses speak in their own way, through body language and cues like that. They are very smart and will let you know if something is up. A big deal in racing is the pedigree. A lot of my riders think it’s cool when I tell them that the horse they are sitting on won a quarter million and now he’s doing this. We look for a horse that’s steady, and has good feet and a good brain. Depending on the situation, I will offer a work-to-ride program, where riders do work around the barn in exchange for lessons. We don’t do this for the money; it’s about what’s best for the riders. We want to see them progress and grow. When my riders start asking me about jumping, I will move them on to someone else. What’s hippotherapy, you ask? Sadly, hippotherapy is only related to hippopotamuses by the Latin nomenclature they share with horses, but at least you don’t have to visit a zoo to experience its benefits. TROT has offered riders as young as 5 and as old as 55 a chance to experience the therapeutic benefits that contact with horses can provide to humans. 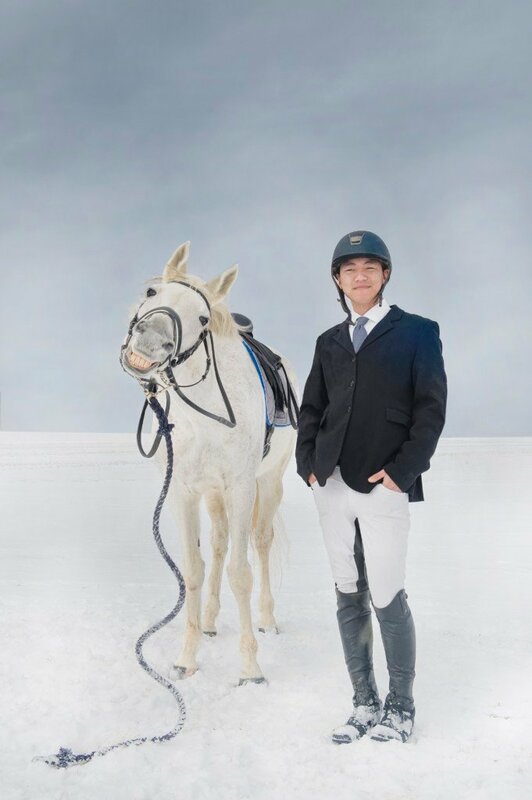 They offer outdoor riding as well as a 60- by 120-foot indoor riding ring that’s heated to provide year-round therapy. Visit them at trotnh.com for more information.